Singapore, March 10, 2015: Effective from 3rd March 2014, ACRA introduced revised XBRL filing. 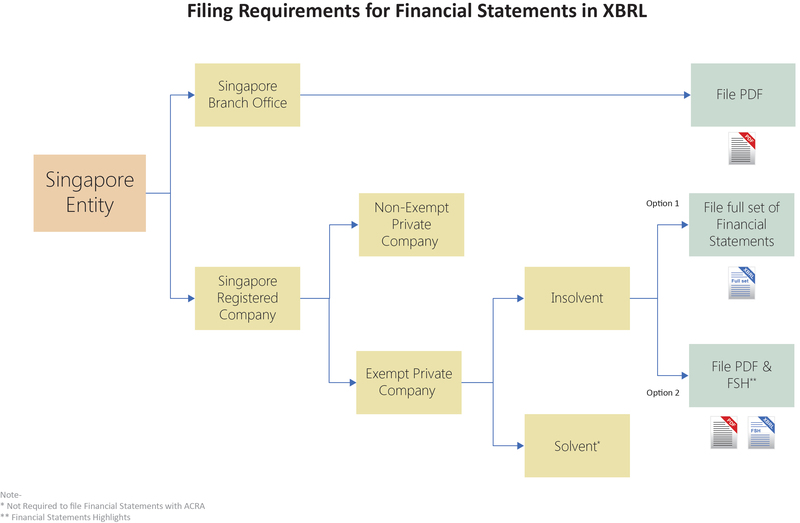 Accordingly, companies incorporated in Singapore (excluding a few exempted categories) are required to file a full set of financial statements in XBRL format with ACRA. Filing of partial XBRL, an option under the previous XBRL system (FS Manager) is no longer available. To prepare the XBRL financial statements, preparers will need to map information within the financial statements by matching them to a relevant concept within the Taxonomy. This requires an understanding of accounting concepts and knowledge of Singapore Financial Reporting Standards (SFRS). Recently, ACRA issued notices to a few thousand directors on failing to file their annual returns with the regulatorwithin the stipulated deadline. Commenting further on the advantages, he adds “DataTracks has been able to successfully sustain its leadership mainly due to its emphasis on quality and easy-to-use services. An additional attraction is the competitive price at which these services are delivered “. DataTracks is amongst the earliest service provider to assist companies in preparing compliance reports in XBRL format. In the US, DataTracks has been helping companies, for the past 7 years to prepare XBRL reports since the time these reports were mandated by the SEC. In UK, DataTracks was the first service provider to be recognized by the tax regulator, HMRC. Similarly in Ireland, Singapore and India, DataTracks has had well established presence. About DataTracks : DataTracks is a global leader in preparation of financial statements in XBRL and iXBRL formats for filing with regulators. With more than 10 years’ experience, DataTracks prepares more than 12,000 XBRL statements annually for filing with regulators such as ACRA in Singapore, SEC in the United States, HMRC in the United Kingdom, Revenue in Ireland and MCA in India.